Hello, I found this site a few months ago and what a great spot for information it has become for me. I have a 1995 G30 Van (Light Duty, it's really only a 3/4 ton GVW with SF rear and 4l60e) I am using for a tow vehicle. It does pretty good for what I need it to do as long as I am not in a real hurry because there are a lot of long steep hills here in Oregon. I first swapped the differential gears from 3.23 to 4.1 with new bearings and that helped a lot and got rid of the noises from the rear end. I lucked out and found a VSSB from a Suburban with 4.1 gear for a dollar, so the speedometer is spot on now. Next I plan on a few engine and transmission upgrades to a ramjet roller cam and possibly new Dart 165cc heads so a new tune will be needed once that is done. I figured I would break up the tuning part into smaller bits instead of throwing all the parts on and then trying to sort the tune out all at once. First I am going to try to read the stock eprom and burn the same information to another spare 7427 ecm and get familiar with the reading and burning process. That way I have the van and its original ecm in case I mess up and need to use it in the middle of all this. I have done a little bit of soldering in the socket conversion on a Honda OBD0, but had someone else do the chip, so this will be a learning process for sure. 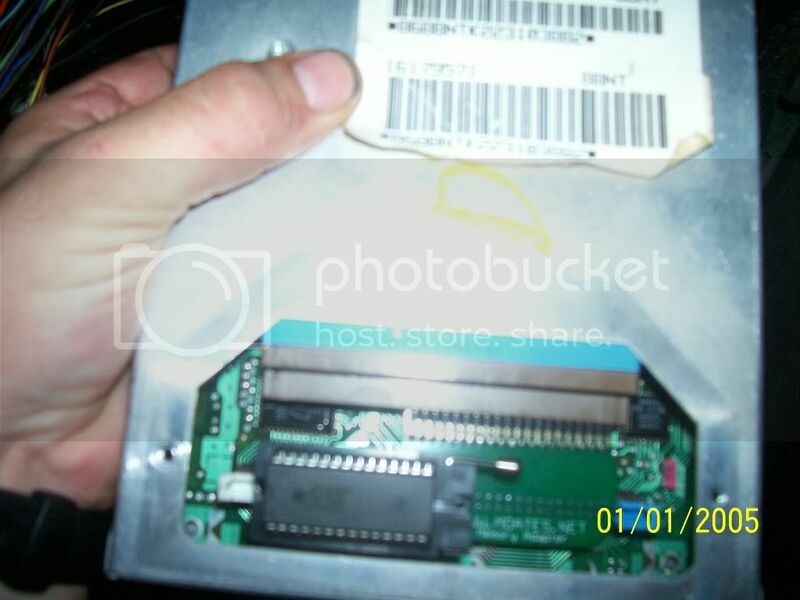 I found this thread http://www.gearhead-efi.com/Fuel-Inj...r-27SF512-Chip from a few years ago and there seems to be some debate over if the socket is needed or not. So I was hoping for some updated advice on that. Also when I go the the local pick a part to look for a donor ecm to experiment with, I am just looking for another 16197427 from a 94-95 V-8 application, nothing else matters, correct? Weird that you have a 4L60E. EVERY G30 I have ever seen from 1991 and beyond had a 4L80E. Ramjet is not a bad cam, but far from my favorite. I had one in my Express van and it was only marginally better than the stock cam. I have since traded it for the GM SPO 350 357 HP cam. Also curious why you would want the 165cc head. Those are smaller than the stock TBI heads and probably do not flow enough better to warrant the money. I would look at putting some Tri-Y headers on it or atleast some form of long tube header. Doug Thorley made them for these vans and they still show up on ebay from time to time in decent looking shape. 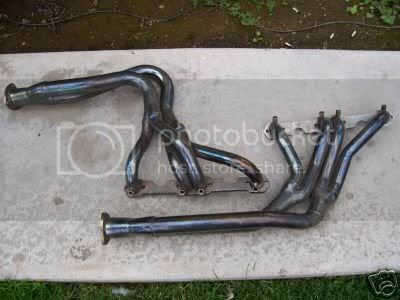 The stock intake manifold, stock exhaust manifolds and stock cam will choke your setup FAR BEFORE the stock heads will. Finally your 1995 block may not even be roller ready. It may lack the necessary machining to install a roller cam or may even lack the necessary bosses all together. I would consider something like the Crane Energrizer 260 grind. It works very well on a TBI head engine with the stock compression ratio. It will take some tuning to make it run right, but it would run very strong. Some people may push the use of a dual pattern cam on these setups, however the single pattern grind will make more torque and offers less overlap for a given duration. This allows the LSA to be tightened and even more midrange torque. I like around 210-218* of duration @ .050 and around .450" lift on both intake and exhaust for these engines. Preferably a 110* LSA and 106* ICL. The 305 Vortec I built for my brothers 1999 Tahoe has a Lunati High Efficiency 268 cam in it. It pulls very strong and has great manners for what it is. Last edited by Fast355; 06-20-2017 at 10:46 AM. Thank you for the reply, yes its odd drive train wise, but https://www.gmheritagecenter.com/doc...olet-G-Van.pdf lists it on page 3 4l60e in g30 under 8600lbs gvw. It's a very clean, low miles van so that's why I purchased it, even with its substandard drivetrain. The reason for considering the 165cc Dart head is I have used them before for towing on another vehicle and they flow very well. 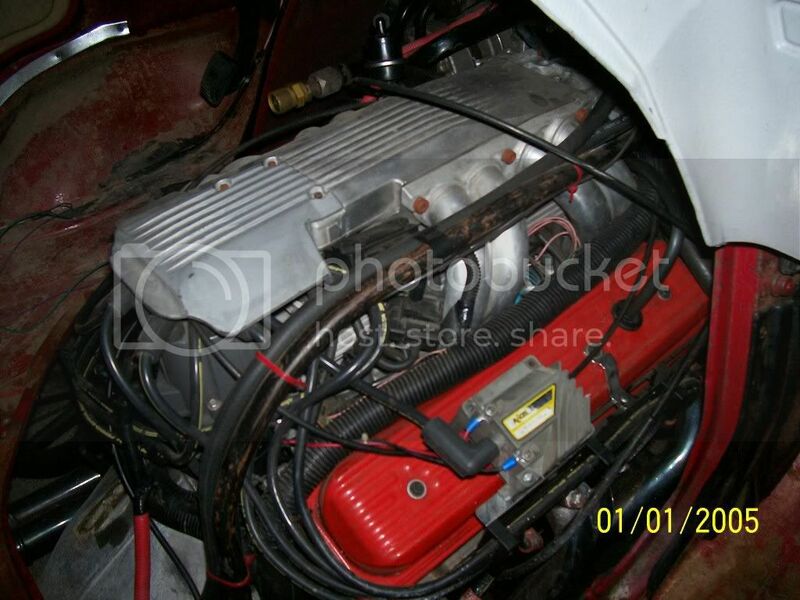 Intake Port Flow: 232 cfm @ .500” Lift / 28” Exhaust Port Flow: 138 cfm @ .500” Lift/ 28” is from the sales propaganda. They actually do these numbers and a little more when touched up with cartridge rolls. I will not need any more head than this for what I am doing. Some confuse the darts with world products offerings. World's small heads are very rough and have poor stock type chambers.The block is a roller compatible, borescopes through the distributor hole are great. At least all the parts in the valley are fully machined for a roller, so I am hoping the part behind the timing chain is done too. I have the ramjet cam, so that's probably what it will get, but I appreciate the advise. Right now I am more concerned with learning the programming part, the mechanical stuff can change. That makes sense. Dart is marketed more for performance and World more stock replacement stuff for mass rebuilders. Also you learn something new everyday. Never had seen a 4L60E 1-ton but apparantly they did in fact exist. I would atleast treat it to a Transgo HD2 shift kit and Corvette apply servo to make sure it is up to handling the additional power. I put those in both my brothers 1999 Suburban and 1999 Tahoe. Really made it shift much nicer before I touched the line pressure, shift-time settings or torque management. Atleast you have the good 9.5" 14-bolt semi-float rather than the 8.5. The programming is not too hard. You likely have BJYN and I have read a stock one and it was at one point in time in the $0D .bin section on this site. To support more power you are going to want to change the fuel pump (I use a 1993ish CPI Astro pump) and pickup an adjustable fuel pressure regulator. Even a stock TBI engine responds well to a solid 14 psi of fuel pressure. I have seen them stock running anywhere between 9 psi and 14 psi. The ones running at 9-12 psi run like dogs. They are much happier at 13-14 psi. Once you start making airflow changes it can take as much as 30 psi to feed the 350 with the stock 61# injectors. I would run through the basics first. Verify your timing is set at TDC or 0°. Then check the fuel pressure and make sure you have 13-14 psi. Good wires, cap, rotor, and AC Delco plugs are a must. Finally it would never hurt to start with a clean fuel filter and air filter to make sure the engine is getting fuel and air adequately. Finally remove the TB, clean the IAC, clean the PCV passageways and replace the TBI base gasket so it all is in good shape. I always make sure the mechanical is up to spec before I ever touch the tuning. I prefer to run these engines a bit cooler than they run from the factory and tun a 180°F or preferably 170°F thermostat, especially if I am going to crank up the timing, run it hard, and tow with it. Last edited by Fast355; 06-21-2017 at 02:30 PM. Thank you for the help, yes the worst part of the setup is the weak transmission. I have a new separator plate and shift kit in there along with the sonnax boost valve. It's been in there for over a year and does fine. I don't trust it though being a 95 with a weak sun shell and 20 years is a long time for transmission seals in a marginal transmission, so it's on the to do list in a month or two. It's better to freshen things up then sit by the freeway with a trailer on. I have the updated parts setting on the shelf. It shouldn't take too long to pull it one weekend and go through it. The van is in great shape mechanically. It was a fleet vehicle for an electric outfit and the owner had this one so it mostly sat in their shop. I did all the maintenance on it for years when I worked for an independent repair shop. The thermostat is a 190 currently, but I do have a 180 for it when the cam goes in. I do have a new big block fuel pump I plan on installing too. That was information I read here a few weeks ago. Mostly at this point it's just a practice run. I want to be able to take a spare computer and change a few minor things just to get experience of how it all works. No one responded about the memcal dip socket vs just soldering the chip in so I am guessing its still up to individual preference. I have extra chips and a zif along with the ALDL cable and chip burner by Moates.So I will just get a core 95 8 cyl tbi computer and see what is next. Thank you for the information. I read some of your posts here, they answered some questions. The 7427 needs a memcal adapter. I never used a ZIF socket because even the short version would not allow the chip to fit under the service door. I merely pushed the chip into the socket. No need for a second PCM. Just remove the memcal adapter and plug the stock memcal back in if needed. I had an Autoprom wired up practically permenately in my old G20. I hard wired in a 2nd ALDL port next to yhe PCM. The PCM was in the wall behind the drivers seat. I connected to it via a single USB port and could Datalog and Tune in real time with the engine running. My old Vortec head TBI when I still ran it. 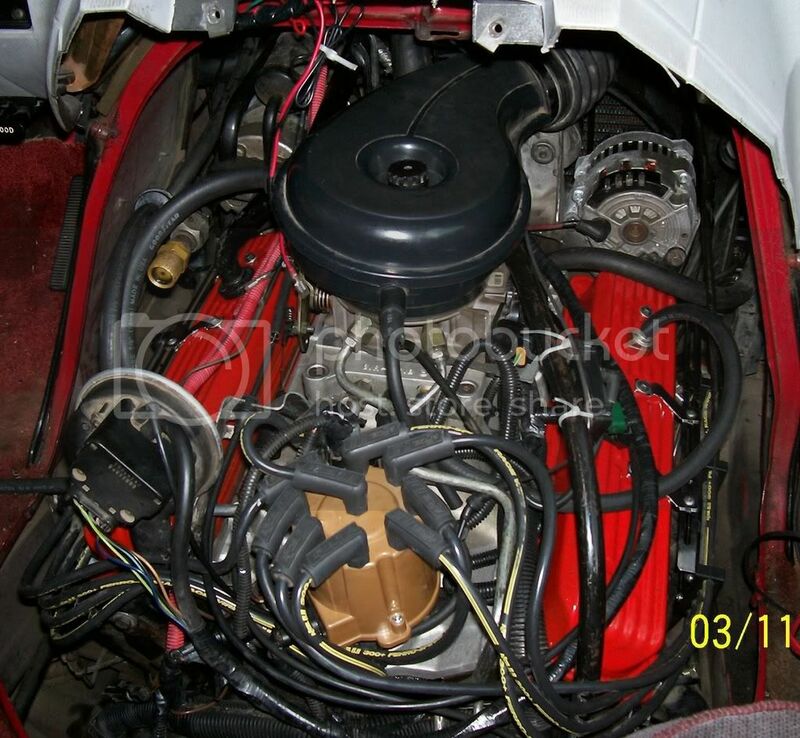 Had an Edelbrock Performer RPM and 502 Marine TBI on it in this picture but later ran an edelbrock 2912 single plane. I played with TPI on a 383 as well. Stock runners in this picture but I also ran siamese ported SLPs on it. I also ran Doug Thorley TH-315Y headers on it from with every engine from the stock 305 through the 383. Thank you for the info! I saw the moates adapter, I just thought it would be cleaner to do the chip the other way. Its pretty much the same cost too as cores run about 30 and a few bucks in parts. If not many resolder the chip into the memcal, I may just do it the adapter way as that seems to be working for many. I will keep an eye out for those headers used. Yesterday I decided to put in the fuel pump. Airtex E3212 crosses to the 95 big block TBI pump. I chose this one because it's still made in the USA and it was fairly cheap on eBay, $20 shipped. The stock pump still put out 11 psi but deadhead pressure was only 14 psi. The new pump install was pretty clean. There is a fat little rubber hose called an Isolator that connects the pump to the sending unit assembly. I did not reuse it, as its old and the insides were coming apart. I remember from the early 90s that that fat hose was for noise, but most aftermarket kits just have standard fuel hose as the Isolators sometimes fail. So I just replaced it with 5/16 fuel injection hose and hi-pressure clamps. The new pump sounds like ball bearings rolling in the tank. If you have ever mounted a Holley Blue or Red pump, that's the type of noise I am talking about. The Airtex is not quite that bad but 3/4 of that volume. I drained the fuel again this morning using the test connector for the fuel pump and noticed when I restricted the pump so it build some pressure the rumble noise almost completely disappeared. Around the 30 psi it was designed for it's an OEM sounding pump, at the 11-12 psi it's a very noisy pump. The deadhead pressure is 45 psi so the pump seems strong. There are a lot of complaints on the internet about Airtex and noise, but not any more than other manufactures though including AC Delco. I am thinking I just got a noisy pump off eBay, but I am wondering if the removal of the Isolator would increase the nose that much. Anyone else run into this noise increase when they upgraded to a higher pressure pump? Update, I got some advice that Airtex is not that good of a brand anymore, even being made in the USA. I will be getting EP377 pump as a replacement in a few weeks. It's a good thing the tank in the van is so easy to drop and install. Last edited by donf; 06-24-2017 at 05:28 PM. I have a question, I am trying to start looking at ecm data with tuner pro. I rebuilt the 4l60e transmission this weekend in my van and want to look and make sure the basics are working like I have the proper tps voltage at WOT. So I have an aldl cable plugged into the laptop and the proper drivers installed. I found the 16197427 computer thread http://www.gearhead-efi.com/Fuel-Inj...Information-0D and think I need to pick out an adx file in post #2. I looked but does the A217 / A218 in the name cross to anything I am supposed to know about? Same with Trans1 / Trans2? I am thinking that's probably Auto and Manual, but not 100% sure. Sorry if its explained somewhere, I could not find it. If it is you can just link me to the explanation. Thank you for the help! A217 adx file will give you all the engine data for your van if connected to a 4L60E transmission. A218 adx file gives you all the 4L60E transmission data. There are two different messages, hence the Trans1 and Trans 2. You will want to download all three adx files. Switch between them to see what info they have. If you are concerned with your transmission, I would look at Trans1 first. Trans1 has 60'ish bytes of information where Trans2 only has 30'ish bytes. Trans2 primarily reports the adaptive pressure modifiers. If you had a manual transmission you would only concern yourself with the A217 adx file. I am having trouble getting usable info out of Tunerpro v5 with the engine running. It seems to mostly work with the key off, then get all crazy once the engine is started. It will flash between DA:Connected and DA:Error at the bottom of the screen when running. If the engine is off it connects with no problems. TunerPro will not connect at all if the connection is started after engine is running. It has to connect with the engine off first, or if connected while running, the program will say DA:Connecting, and just stay that way, but never connect. I have 5v on ALDL terminal B and M when running. I am guessing the correct mask is $0D, but am not sure. I do see values like TPS change with the engine off so I am thinking $0D is correct. This trouble is present with all three adx files mentioned above. I have the adapter on order to read my stock BIN to be sure its $0D. I am not using a power supply to the laptop. The only connection to the van is the ALDL Cable. I removed all engine and body grounds this morning and tightened them. I did a voltage drop test the ALDL A pin to ground and the battery negative terminal .00 was the reading. The voltage drop from ALDL A terminal to the engine ground at the ground back of the bell housing is .02v. I added a listen for silence command into the main macro. All it did was slow the error rate down, it did not let useable data start flowing after the engine was running. After playing with the time out a bit I removed it and returned the macro back to normal. It almost seems to freeze the program when starting. Somethings may change to crazy numbers but really slowly, but the main readings like TPS, RPM and MAP are mostly frozen where it was when the engine was first started and may change after a few minutes but the reading will not be accurate. The two LED lights on the ALDL cable also acts very different when the problem is going on. If connected with engine off and then started, the LED pulse very slowly and evenly compared to when the engine was off and data was changing. The van runs fine and was hooked up to a Snap-On Modis Scan Tool a few months ago with no problems at all. Last edited by donf; 08-17-2017 at 06:09 PM. I ran one of those TBI to MPFI kits- I wish I still had it. If you run it you should go EBL w port mod. The harness is easy to make- just be sure of you wiring skills to avoid bad joints. Thank you for the feedback. What is EBL and port mod? It's probably gone now. I did not pick it up as it was missing most of the parts not just the harness, even the throttle cable bracket was gone. I think i will hold off on engine mods for a little while. I want to get TunerPro RT to not go crazy when the engine is running and dial in the transmission shift points a little better before too much is changed. If I can get the BIN basics down then next spring I may work on the engine a bit.